Problem. Create sweet and recognizable package design. 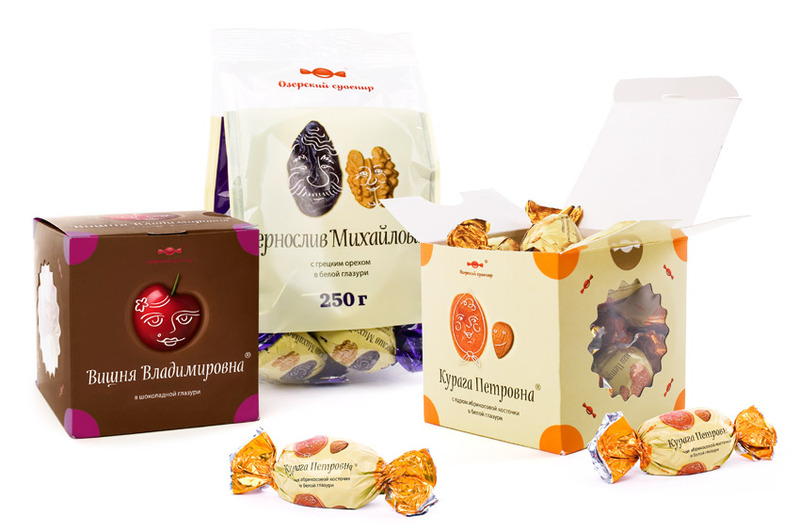 Ozersky Souvenir confectionery produces a great variety of chocolate-glazed fruit and nut sweets sold in individual wrappers. Other companies also do that (pphhh, unoriginal followers). Customers may not see any difference between treats with similar names and boxes. 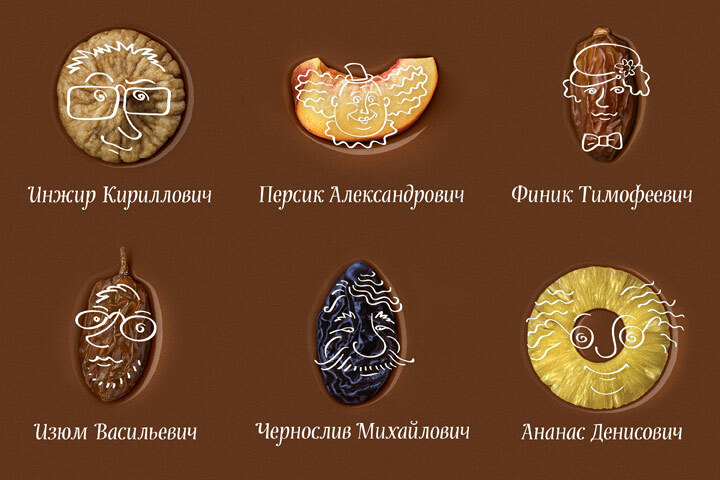 So, to make Ozersky Souvenir sweets stand out from the rest, we turned them into real live characters—we gave them cute faces and original Russian-sounding names. 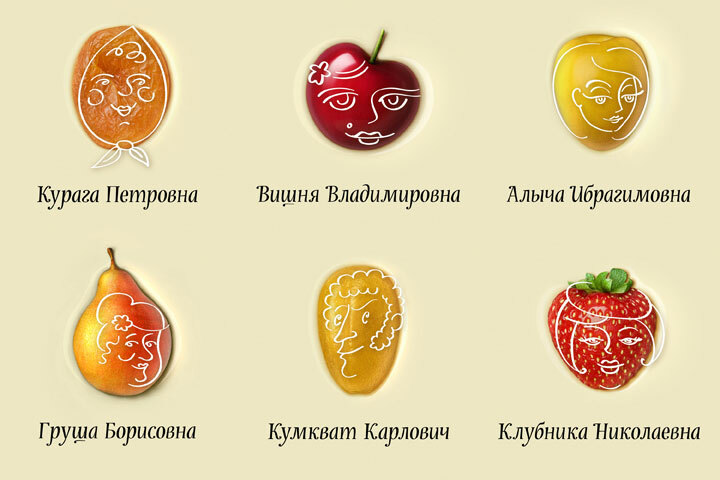 There are male and female sweets, and each of them is named after a fruit or berry with a Russian patronymic added to it. All characters have unique personalities—Peach Alexandrovitch is a fun person and Raisin Vasilyevitch is thoughtful; Pear Borisovna is a caring mother and Strawberry Nikolayevna is a woman of fashion. There are also characters with nut background. We designed wrappers for all sorts of treats—milky white for white chocolate glaze and warm brown for regular chocolate—as well as boxes and bags. For the project we developed a new font, called Candysweet, and used it for all names and headlines. These charming sweets are already being sold!